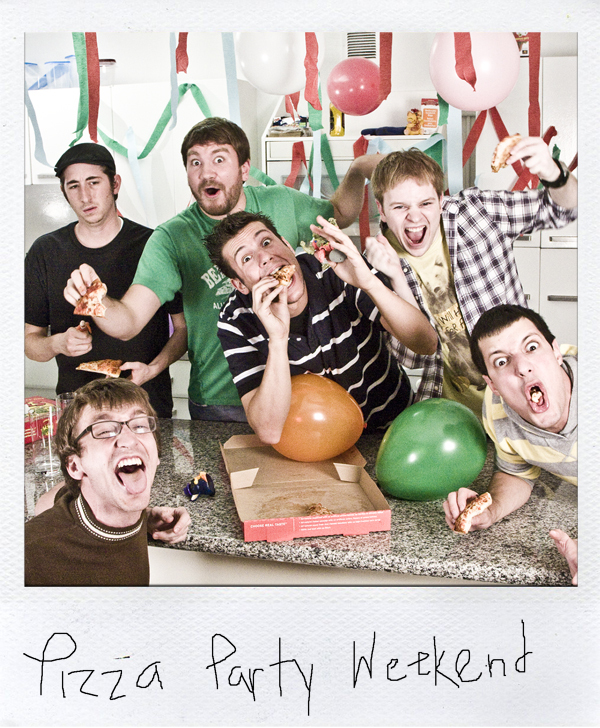 A few months ago, some friends and I started a sketch comedy group called Pizza Party Weekend, and I’ve discovered a new passion for writing and performing live comedy! We started out making comedy videos for the web and performing the occasional one-off sketch at comedy variety shows, but we apparently made an impression, because we got offered our own hour long sketch show at the Theater Asylum in Hollywood. So far, we have written and performed two hour-long sketch comedy shows as PPW — one in May and one in July. Our comedy is similar to the offbeat /underground style of the Upright Citizens Brigade theater (in fact, one of our aims is to eventually get a show at UCB). That said, all five of the members have very different voices, and I feel like we complement each other well. We’ve done sketches about our “Evil Selves,” kids arguing over the name for their (videogame) Rock Band, creepy high school teachers with crushes on their students, the Community Chest from Monopoly, a twisted summer camp, and a whole lot more. Pizza Party Weekend‘s next show is coming up next week (Sept. 23rd), so if you’re in Hollywood, check us out. Details and links to some of our videos are available here.